The human body is absolutely marvellous and also full of many mysteries. There is always something interesting to learn about the body, for example, a recently discovered part of the body or a new fact about a particular organ. But more interestingly, we always want to know more about the functions of the different parts of our body. Back in biology class you might have probably heard from your teacher that all parts of the body has a function, and then you might have wondered if some parts of your body were really that useful. Well in this article we will learn about the functions of 10 parts of your body that are seemingly useless. Many people would easily think that it would easy to run, stand, walk and jump with just four toes. This is because they think the little toe has little or no usefulness. In truth, it is the weakest and tinniest toe of all the five toes on your foot, but the little toe or pinky toe has an incredible function it does. But before you learn about that, let us briefly learn about what the foot is made up of and how it works. There are about 26 bones that make up the foot, which is divided into the hindfoot, midfoot and forefoot. The forefoot is made up of the toes. The little toe has three little bones (pharyngeal bones), and with the other toes, except the big toe which has two major bones. All the toes are joined to the midfoot by long bones called the metatarsals. The connection is similar to our knuckles. The metatarsals joins to the hindfoot the cuboid and cuneiform bones, which are connected to the talus and ankle. This connections was likened to a tripod [Source] by Dr. Wenjay Sung, a physician at White Memorial Medical Group. He explained that walking was in a tripod fashion were, the big toe knuckle (connection with the metatarsal), little to knuckle and the heel give us a tripod walking ability, and hence removing the little toe will significantly alter balance. So the function of the little is to assist the foot to maintain balance when standing upright and walking. However, in cases where people with congenital abnormalities have no pinky toe or when it was removed by accident, you could still walk and stand, says Dr. Anne Holly Johnson, an instructor in orthopaedic surgery at Harvard Medical School. 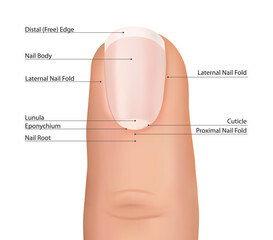 The lunula is that white crescent-shaped area at the root of the fingernail. The lunula is more prominent on the thumbs. It is not actually white, but only looks that way when seen through a nail. It is a delicate and sensitive part of the nails, If destroyed the nails will be permanently deformed. There have been many debates about the function of the lunula. However it’s main function is to hide the blood vessels under your nail, which makes it thicker. If you can’t see your lunula it could mean that you have slow metabolism or an overload of toxins. If your lunula is only visible on the thumb it could mean that your immune system is probably weak. And if that lunula on the thumb is too prominent it could be a sign that [Source] the heart and circulation is working overtime and eventually this overworks the heart. Hope you are learning something new? A lot of people don’t know the function of the eyebrows, and conclude that it lacks any real function, but that tiny tuft of hair above your eyes has very interesting functions. There are many functions of the eyebrow. The primary function is to prevent sweat, rain and other debris from entering into the eye socket. The eyebrow also has a psychological function, because it is used in expression and communication of feelings. For example, we raise our eyebrows when we are surprised or have just heard something for the first time (which I’m sure you’ll keep doing till you’ve finished reading this article). Another function of the eyebrows is also useful for facial identification. In 2003, a study by the Massachusetts Institute of Technology (MIT), where subjects were to identify celebrities, which had either they eyes or eyebrows edited out. The subjects were nearly able to recognize the celebrity, with the eyebrows edited out, when compared to when their eyes were edited out. The study hence proved that eyebrows are essential in finding out an individual’s identity. [Source] And lastly, the eyebrows also helps in beautifying the face, come on, think of how you’ll look without your brows. Nasal hair is the hair present in the nose. In some cultures, many people consider the outgrowth of nasal hair to be ugly. Hence people consider it useless and often worry about getting rid of nasal hairs. This removal can be done with small rotatory clippers. However, nasal hairs have interesting functions. [Source] First, it serves as the first line of defence for harmful pathogens that try to get to the nasal cavity. Second, it provides added humidity to the inhaled air. The hair and mucus provides heat and moisture to the air as it passes through. It does this by trapping moisture as air is exhaled out. The evaporation of trapped moisture on the hairs will increase the humidity of air as it is inhaled. Your uvula is that small dangly little flesh at the back of your throat. A lot of people never pay attention to it (except comic animators), and it has made many to question its usefulness to the human body. This organ is fully developed only in humans. In the past, they were many theories about the function of the uvula. One was that it’s function was thought to help the early men, speak or drink while bending down near a watering hole. Another one claimed that it played a significant role in speech and immunology. It was also somewhat feared and viewed as a hazardous organ that could lead to apnea and death. Your uvula secretes large amounts of thin saliva, when you speak. This action of your uvula may therefore be to help keep your throat moist. Additionally touching your uvula will trigger your gag reflex, so your uvula probably prevents you from swallowing large object. [Source] And lastly, the uvula could also be related to snoring. According to study, people who snored had fewer nerve fibers in their uvula than their non-snoring counterparts. In some sub-Saharan African countries, traditional uvulectomy (removing all or part of the uvula) is done. And these people are able to live normally, but this doesn’t minimize the importance of the uvula. One of the most common vestigial organ we all know is the appendix. That 4 inch long tube has been believed for a long time to serve no beneficial purpose to the human body. 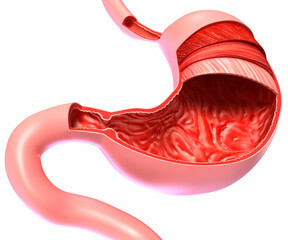 Worse still when it becomes inflamed it results to a common condition called appendicitis, which affects 250,000 people each year in the United States. [Source] Although many biologist concluded that the appendix serves a little function, it recently been shown that the appendix has a few important roles in fetal life and young adults. By the 11th week of fetal development, the appendix produces endocrine cells that control homeostatis. While in young adults, it has been credited to be involved in the maturation of B- lymphocytes and production of Immunoglobulin A (IgA) antibodies. So basically, it helps the white blood cells identify antigens or foreign substances in the gastrointestinal tract. There is also another weird function of the appendix. The appendix can be used for reconstructive surgery should in case the urinary bladder is removed, that is the appendix can help in serving as a make shift urinary bladder. This surgery involves using a section of the intestine as a replacement bladder, and then appendix is used to re-create a ‘sphincter muscle’ so that the patient remains continent (able to retain urine). Additionally, the appendix can be surgically turned into a makeshift replacement for a diseased ureter, which allows the passage of urine from the kidneys to the bladder, amazing right [Source]. Now you know your appendix is a lot useful that you would imagine. What use could this part of the teeth, that causes great comfort to humans have and why does it it even grow? Skeptics have concluded that wisdom teeth is a completely useless body part. The pain caused by the growth of wisdom teeth is because of the small size of the human jaw, so they impact with other teeth and cause us pain. This “third molars” which begin to erupt during our late teens have recently been found to serve or to have served a purpose. A UK scientist carried out a research on the size and shape of the jaws of eleven different people groups from all over the world. Six of these groups comprised of agriculturalists and other five groups were people who engaged in a hunter-gatherer lifestyle. [Source] Now, the main difference between these two categories of subjects was that each of their diets varied significantly in consistency. Hunter-gatherers have a diet that is predominantly raw foods, which require longer and more intense bouts of chewing. While agriculturalists eat much softer food. The research showed that the jaw shape and size varied and depends on the predominant diet People who consume a softer diet will have shorter, broader jaws. On the other hand, people who eat more raw or harder food (a typified hunter-gatherer diet) will longer, narrower jaws. The longer, narrower jaws of hunter-gatherers is most likely meant accommodate wisdom teeth. Nobody wants to have underarm hair or armpit hair. They don’t just make you sweat, they can make you really uncomfortable. So why is it their? There are lot of theories as to the exact function of armpit hair. One of the common theories suggests that, the hair is for the purpose of getting soaked in mate-attracting pheromones. Yes, the odor from your armpit is initially odorless and only starts smelling when it is full of microbes. [Source] Thousands of years ago, these individual scents from that were given off from the armpit, was used to attract mates to cavemen. Another theory is that its earlier evolutionary purpose was to reduce friction between the upper arm and the body during vigorous labor or motion. Why do we have beards? Have you ever thought about that. Many would agree that the role beards is to make men look cool, but it can’t be just that. There have takes on what role beards have to humans and if we really need it. Well the obvious function of beards in men is gender identification. 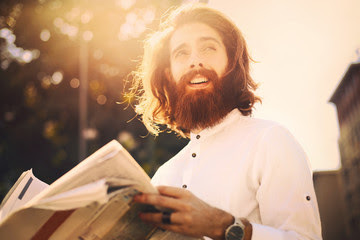 Beards can also help protect against harmful Ultra Violet rays [Source]. Another claim is that beards have a secondary sexual function, as women are more attracted to bearded men and view them as dominant, older and with higher social status. From the evolutionary perspective, however, a report claimed that beards have survival and reproductive benefits [Source]. In the report, lions were used as an example. Lions normally have manes, but lions without manes were attacked often and were unsuccessful with females. This doesn’t mean that everyone needs to grow a beard though. Furthermore, it stated that beards might serve as protection against blows to our jaw. The tonsils are two ovoid mass of lymphoid tissue that are located at the back of the throat. If you want to see your tonsils you can do this by opening your mouth wide and looking in a mirror. The two spongy, almond shaped lumps that you can see at the sides and back of the mouth are your tonsils. For many years scientists believed that the tonsils lacked a physiological function. But however the tonsils are part of the lymphatic system and protect the body by trapping and filtering bacteria and virus that might have been inhaled in [Source]. 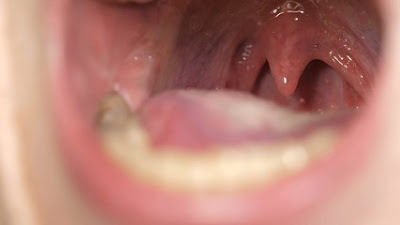 The tonsil can also be infected, a condition called tonsillitis and can be removed surgically. Humans can live normally without their tonsils. Thanks for reading. Please comment and share this to everyone. Do not forget to follow us on Facebook and Twitter. Also SIGN UP to receive amazing posts like this to your mail. You're most welcome. Keep visiting my blog for more amazing stuff.